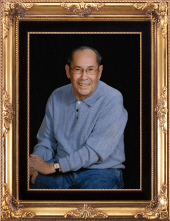 John J. Hernandez, 87, of Woodville, OH, passed away on Thursday, April 4, 2019 at the Ohio Veterans Home in Sandusky, surrounded by his children. He was born on October 20, 1931 in Monterrey, Mexico to Antonio and Guadalupe (Ayala) Hernandez. He would graduate from Woodville High School and go on to serve his country in the United States Army during the Korean War. On July 22, 1967 he married Ann Bertonaschi in Rossford, OH. John and Ann raised 3 children and celebrated 50 years of marriage before Ann’s passing in October of 2017. His memberships include: Our Lady of Lourdes Catholic Church in Genoa, the Knights of Columbus, the Clarence L. Nieman American Legion Post #453 in Woodville, just to name a few. He also enjoyed raising and pruning bonsai trees, woodworking; but he especially enjoyed being with his family. John is survived by his sister: Mary (Len) Felder of IL, children: Ken Hernandez of TX, Jacki (Nick) Jagielski of IN, and John Hernandez of Woodville. In addition to his wife Ann, he was preceded in death by his parents and brother: “Satch” Hernandez. Family and friends will be received on 6-8 p.m., Friday, April 26, 2019 at the Marsh & Marsteller Funeral Home, 201 West Main Street, Woodville, OH. A Funeral Mass will be Celebrated 10 a.m., Saturday, April 27, 2019 at Our Lady of Lourdes Catholic Church, Genoa with additional visitation from 9 a.m. until the time of Mass. The Celebrant will be Father Timothy Ferris. Interment will be in Westwood Cemetery, Woodville, OH. There will be a bereavement luncheon served in the church fellowship hall immediately following the committal service. Memorial contributions may take the form of contributions to: Our Lady of Lourdes Catholic Church or the Ohio Veteran Home in Sandusky. Those wishing to express a word of encouragement or share a memory or photo may do so at www.marshfuneralhomes.com. To send flowers or a remembrance gift to the family of John J. Hernandez, please visit our Tribute Store. Guaranteed delivery before John's visitation begins. There will be an additional time of visitation from 9 a.m., until time of the Mass. Celebrant. will be Fr. Timothy Ferris. Guaranteed delivery before John's funeral mass begins. "Email Address" would like to share the life celebration of John J. Hernandez. Click on the "link" to go to share a favorite memory or leave a condolence message for the family.